We provide a combination of Eastern and Western medical wisdom to treat a wide variety of illness. We strive to educate people about the benefits of acupuncture, chiropractic and preventative medicine. 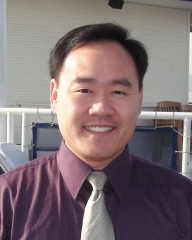 Dr. Lin was first introduced to Chiropractic in a typical automobile accident. He and his mother were rear ended by a hit and run car. What he had discovered was that the typical treatment of prescription muscle relaxants and pain medication did help him in the short run but not over a long term period. As for his mother, the same regimen plus physical therapy did not alleviate her constant neck and back pain. Coming from a strong medical background, his mother decided to try something different - she decided to try Chiropractic. Within a few visits, she was on her way to recovery. With this first hand experience, he came to believe in chiropractic care and wanted to help others. During her years in Chiropractic College, she has come to realize the importance of alternative medicine for improving the quality of life. She has acknowledged that conventional western medicine alone often cannot provide satisfactory solutions to many chronic health related problems. She has simultaneously obtained her Doctor of Chiropractic Degree as well as her Master of Science degree in Oriental Medicine and Acupuncture in the year of 2001. After she has obtained her degrees, she has been practicing in a multidisciplinary environment in Los Angeles, California where she could work closely with many other physicians with different specialties. 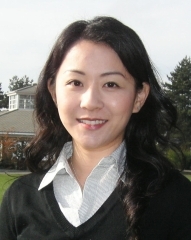 Her knowledge in both western and eastern medicine allows her to maximize the effect of chiropractic and acupuncture treatment in a complete and dynamic way.